Cutie : noun. 1. 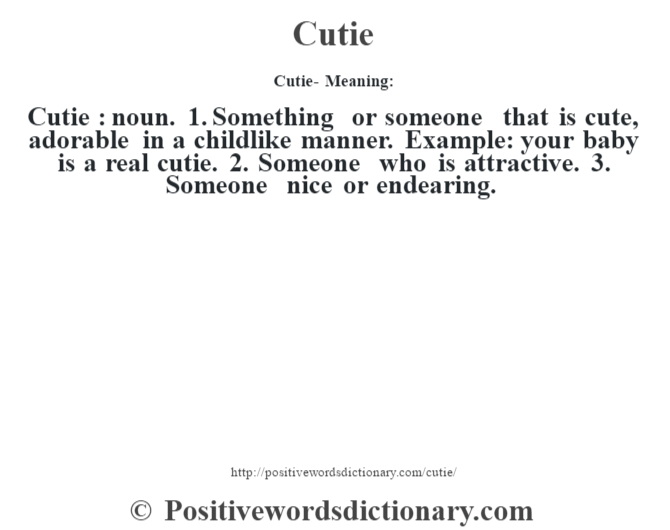 Something or someone that is cute, adorable in a childlike manner. Example: your baby is a real cutie. 2. Someone who is attractive. 3. Someone nice or endearing.